NO. 55 FORT ROSECRANS NATIONAL CEMETERY - A burial ground before 1847, this graveyard became an Army post cemetery in the 1860s. 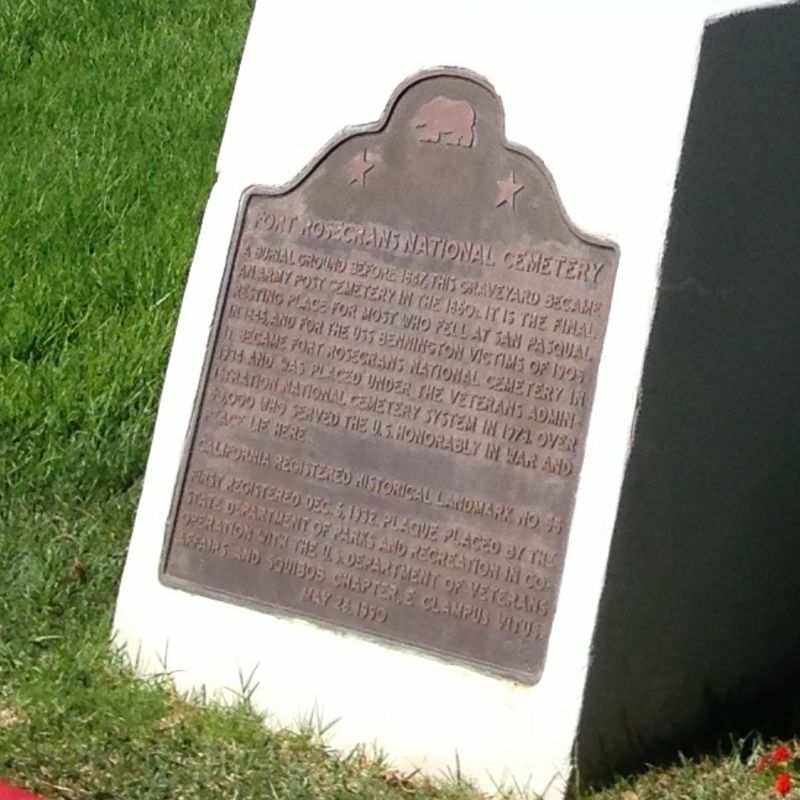 It is the final resting place for most who fell at San Pasqual in 1846, and for the USS Bennington victims of 1905. 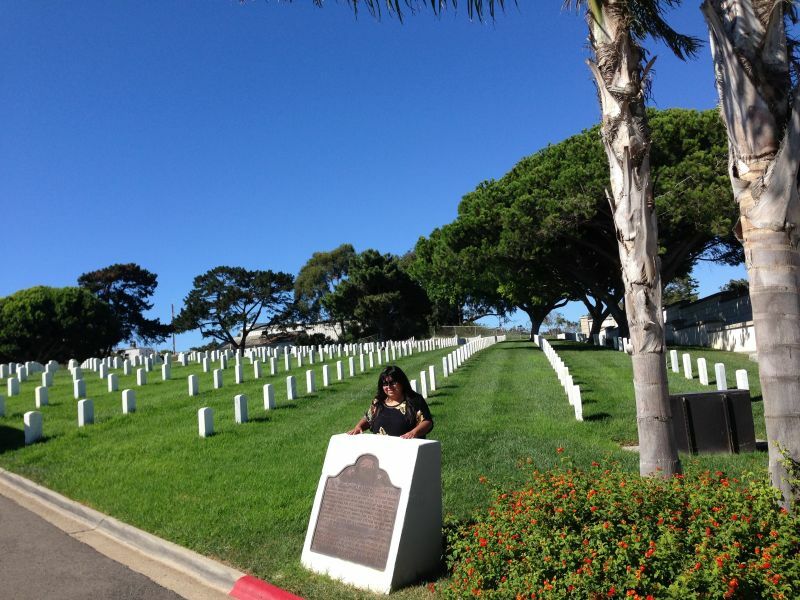 It became Fort Rosecrans National Cemetery in 1934 and was placed under the Veterans Administration National Cemetery System in 1973. Over 50,000 who served the U.S. honorably in war and peace lie here.